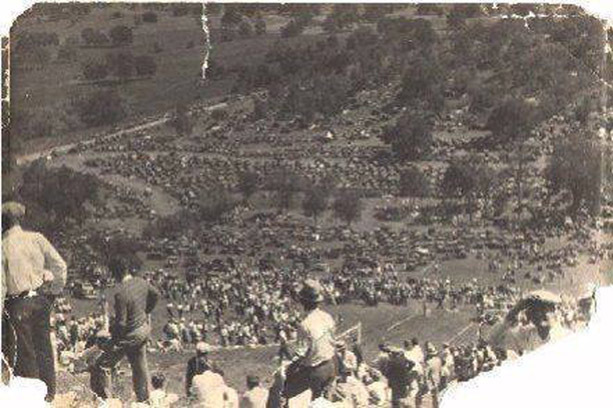 According to the brief description that accompanied this photo that crossed my Facebook timeline the other day, the funeral of Pretty Boy Floyd drew the largest attendance of any such event in Oklahoma history. The image gives me goosebumps, almost puts a lump in my throat. It’s not the coffin—I can’t even discern where it is. It’s the people, backs straight, their attention focused entirely on the dead man. My dad sometimes talked about Pretty Boy Floyd although at the time of Floyd’s death, my dad was only seventeen. For him, like so many, Floyd stood as a heroic symbol to survival in their times. Dust bowl, economic depression, most of all the shift of worlds. From the independent farmer working alongside his wife and children to wrest of living from the land to the new reality of the need for money and consequently, jobs in town. Giving up the farm and its creeks and horses and the smell of fresh cut hay. Learning to work for someone else. Breathing exhaust. Street lights burning the dark. Rigid hours to serve someone else’s profit. Dependent on the dollar instead of the land. There were men who couldn’t make the change. Men who rebelled, who clung to the old ways. Men who’d rather die than portion out his life in the 9 to 5. They didn’t willingly give up the tradition of their fathers, but rather borrowed money on the hope of better times, more rain, abundant crops. The loans came due before better times arrived. According to his biography in Wikipedia, “[Charles Arthur] Floyd was viewed positively by the general public. When he robbed banks he allegedly destroyed mortgage documents, but this has never been confirmed and may be myth. He was often protected by locals of Oklahoma, who referred to him as ‘Robin Hood of the Cookson Hills.’” He was thirty when he died. Floyd’s robberies of banks made him a target for the fledgling FBI and the true manner of his death became one of the agency’s earliest cover-ups. After he was downed by rifle shot, another agent shot him with an automatic weapon at point blank range. Not widely known at the time, the unfairness of his killing nevertheless was understood at a visceral level by the common man. 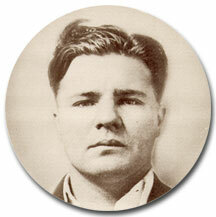 If you’ll gather ’round me, children, a story I will tell ‘Bout Pretty Boy Floyd, an Outlaw, Oklahoma knew him well. As through this world you travel, you’ll meet some funny men; Some will rob you with a six-gun, and some with a fountain pen. And as through your life you travel, yes, as through your life you roam, You won’t never see an outlaw drive a family from their home. Many other artists have recorded this song, among them Bob Dylan, Joan Baez, and James Taylor as another generation’s anthem to the tragedy of corporate takeover. It’s easy to see Floyd as a martyr. In his short life, he did what so many others wanted to do. Like the young Chinese man who dared to stand in the path of an oncoming tank, Floyd like similar ‘criminals’ of the early 20th century defied the banks and credit systems that threatened everything that mattered in rural American lives. They instinctively understood they were being swept into a capitalist system that had no sense of morality, no obligation to human circumstance. They fought back the only way they knew how. The battle that cost Charles Floyd his life has not ended. This entry was posted in American Culture, Biographies, current events, Economics, Morality, Rural Living, social problems, Uncategorized and tagged American farmers, back to the land, banks, capitalism, corporations, Depression, Dust Bowl, Pretty Boy Floyd on April 25, 2017 by Denele Campbell. Money doesn’t just appear of out thin air. Somebody has to build something, repair something, grow and harvest something. Value begins with some real thing that people need: food, shelter, clothing. So where does wealth come from? I don’t pretend to be an economist or any other form of expert on financial matters. I get that there’s a need for advertisers, wholesalers and distributors, transporters, and retailers. I agree that those who work hard should gain appropriate reward. I agree that for each phase of ‘handling,’ additional value is added so that the end product costs more than the producer’s price. My issue is with people whose wealth exceeds imagination and derives from the honest labor of other people. There’s no value added. The only ‘work’ of the rich is to shuffle their money around. Before the mega rich got mega, local producers of socks made a dollar for every pair the wholesaler purchased. The wholesaler made 25¢ for every pair he sold to the stores in his distribution circles. The store made 25¢ for every pair they sold to consumers. Consumers paid $1.50. Lots of producers, lots of wholesalers, lots of stores meant lots of employed people making a modest income. They spent their money at the local stores and restaurants and invested in their kids’ schools and city parks. Newcomers could hang up a shingle for their own sock business and get in the game. Enter the big shots. Sam Walton, for example. His clever idea was to cut out the wholesalers and buy directly from the producers. He sold the socks for $1.25. What cheap socks! Huge success. Here’s the story. A few years passed and Walton expanded. Pretty soon the producers had no one to sell to except Walton. All the little wholesalers and retailers had been left in the dust as shoppers flocked to the discount store. Then Walton said, hey, sell me your socks for 75¢ a pair or I’ll buy from another producer. Producers had no option but to seek ways to produce a cheaper sock—lower quality raw materials like synthetics instead of cotton, less expensive sources of raw materials like foreign markets instead of American, compromised design like shorter cuffs and thinner thread. Less expensive labor to produce the socks—foreign laborers who would work for a dollar per week. Walton was still selling the socks for $1.25. 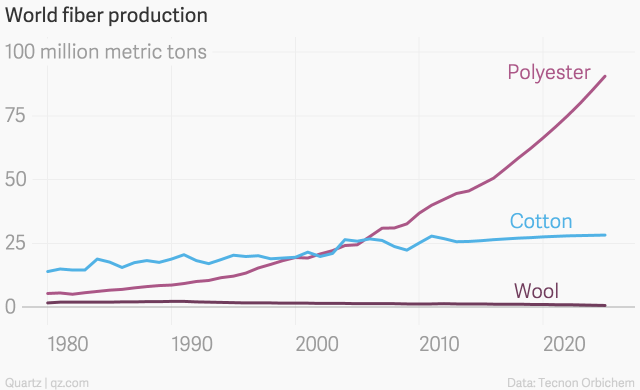 The squeeze on producers tightened—ever lower prices = lower quality. The change was subtle. Yes, consumers noticed the socks were thinner and the cuffs shorter. They noticed the lack of cotton and higher synthetic content. 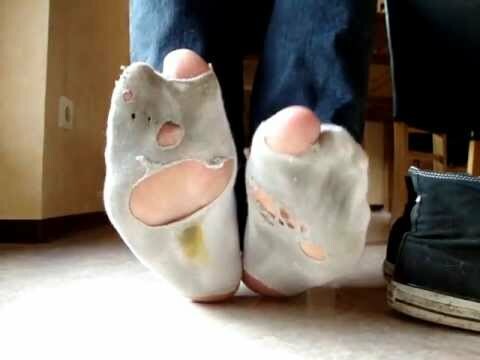 They didn’t like knowing that Walton was sending sock production to China, but hey, the socks were cheaper. We all went along. Oh, gee, look at these low prices! A big store with everything. Now I don’t have to go to a pharmacy, a grocery, a hardware store, a toy store, a fabric shop, and a clothing store. There isn’t as big an assortment here, and they may not have the same product two years in a row, but it’s cheap! Meanwhile, income had become stagnant. Where is the money? Walton started hiring executives to push his money around. Find cheaper sources for socks. All synthetic. All made in Bangladesh. Walton set up his own trucking company to carry his goods. Truck drivers and other transportation workers came to the corporate loading dock hat in hand. Walton created an in-store brand that monopolized his shelf space at prices still lower than any previous suppliers. He didn’t have to advertise so his price didn’t reflect the advertising costs sustained by other suppliers. Store brand socks were shelved next to name brands at a significantly lower price. The sock now costs Walton 25¢. He sells it at $1.25. All the profit flows to the top. To the richest people in the world, the Walton heirs. It’s a business model that makes grown men weep. They weep not for the loss of mom and pop stores, of local distributors and truckers, not for lower quality goods and the flood of American jobs rushing overseas. The men weep in jealousy. Why didn’t I think of that? I could be rich. The model has been emulated many times now in the forty years since the Walton model was set in motion. Corporate is the way to go. Big is best. Everything flows up. It’s a matter of time (and not much of it is left) until all production, distribution, and retailing is controlled by a handful of superrich entities like the Walton family. Want a pair of nice, well-made cotton socks? Guess what? There aren’t any other stores. Nobody makes socks anymore. Now you’ll pay $2.50 a pair for cheap uncomfortable socks made of synthetics in a fire-hazard factory employing children in Bangladesh. The horses are out of the barn. And running fast. Need a house or a car? Need a new roof or a new transmission? Despite “Always Lower Prices,” we can hardly afford the basics of daily life. Our earning power has steadily declined while the mega rich get richer. That giant sucking sound is all the money going to the top. The solution to your lousy cash flow? Charge it! The obscenely rich get rich not only by monopolizing the production, distribution, and sale of consumer goods but also by making their money available for your credit. How nice of them! Take your time paying them back—they’ll only charge 15-25% interest. Never mind that you’ll never emerge from debt. This is the new form of slavery. The superrich have wrangled their way into our political process, our daily lives, and the infrastructure upon which we depend for everything from roads to medical care. Our brightest, most ambitious kids leave college to enter life as indentured servants. They’ll spend ten, twenty, or thirty years trying to pay off student loans—more of the financial empire of the superrich. In a world where every decision is about profits, there is little hope for the average man. We live our lives in debt, ensuring that we never have time to foment rebellion or even learn enough to question the status quo. The moguls fold their arms and smile down, teasing us along with bits and pieces, at least enough to feed the myth of capitalism’s promise. The great American dream—we wouldn’t want to stand in the way of the little man who thinks he’ll strike it rich. I can hear the naysayers now. Apologists for greed, for the corporate regime. Look at all the products we have now—all kinds of socks we never had before. But do we need to pay $6 for pink and purple socks? How do we know local producers wouldn’t have offered the same socks for $3? We knew it wasn’t magic. We knew that the wealth had to come from somewhere. We just didn’t reckon on it coming from us. Are we hardwired to grovel at the king’s feet, no matter the current incarnation? Never mind the rebels who try to ‘buy local’ and think outside the box. They’re throwing rocks across the moat. We wouldn’t want to allow workers to organize for better pay and better working conditions. That might limit profits and you know how all that trickles down. We wouldn’t want to bust open Wall Street or cap pay for corporate executives—after all, they’re the geniuses who make the world go round. Without them, we wouldn’t have socks! This entry was posted in Economics and tagged corporations, goods and services, greed, money, profit, wealth, workers on October 24, 2015 by Denele Campbell.